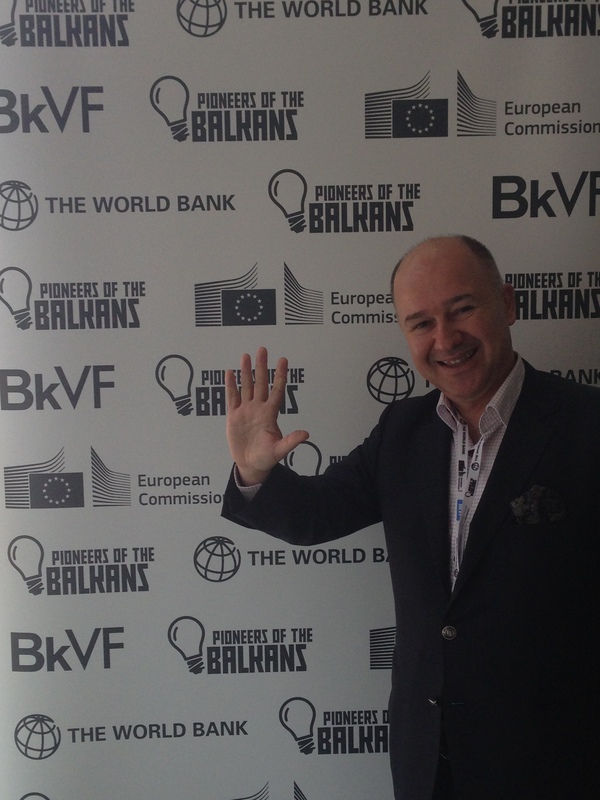 On 3 December, I was in Zagreb as the Vice President of EBAN to give a keynote speech at the Balkans Venture Forum 2015 and to participate in a panel discussion. 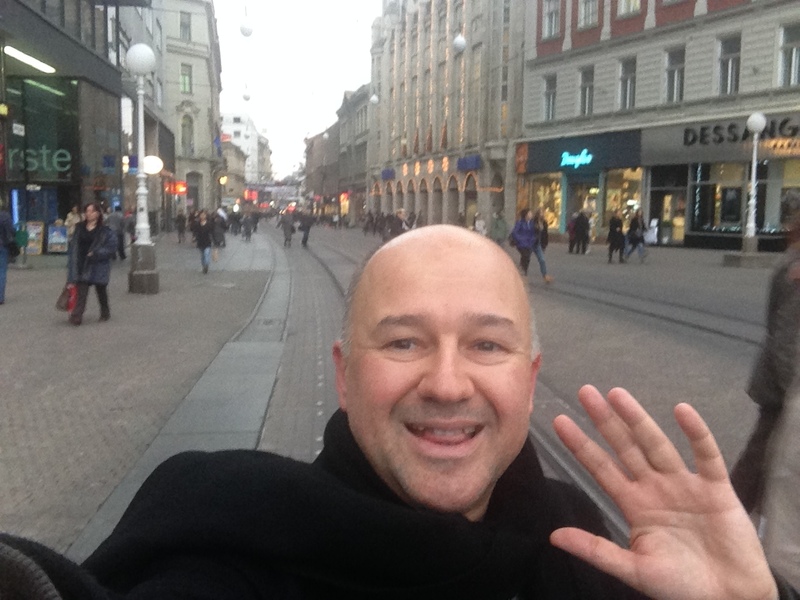 This was my first visit to Croatia, so in these notes I will share my insights into the entrepreneurship ecosystem of this beautiful country. How to create a regional innovation platform in co-operation with EBAN for South East Europe. How to partner with business angels to create more liquidity for startups in South East Europe. The necktie originates from the cravat worn by 17th-century Croatian soldiers. The Dalmatian is a dog breed originating in Croatia. Tesla, considered by some to be the father of innovation, was born in Croatia. Tito, who ruled Yugoslavia for many years, was from Croatia. Split, a city on Croatia’s Dalmatian coast, hosted the 1990 European Athletics Championships. The world’s first mechanical pencil was patented in Zagreb in 1906. Ekotaxis (green taxis) are cheaper and issue invoices – other taxis do not. Taxis are very cheap by European standards. The Euro is not used. There are many bookshops and libraries downtown, and all are full of customers and readers. The ‘Professor Balthazar character was created in Croatia. A unitary state, Croatia is a republic governed under a parliamentary system. The International Monetary Fund classified Croatia as an emerging and developing economy, and the World Bank identified it as a high-income economy. 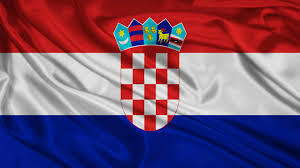 Croatia is a member of the European Union (EU), the United Nations (UN), the Council of Europe, NATO, the World Trade Organization (WTO) and a founding member of the Union for the Mediterranean. The service sector dominates Croatia’s economy, followed by the industrial sector and agriculture. Tourism is a significant source of revenue during the summer, with Croatia ranked the 18th most popular tourist destination in the world. The state controls a part of the economy, with substantial government expenditure. The European Union is Croatia’s most important trading partner. Since 2000, the Croatian government has invested in infrastructure, especially transport routes and facilities along the Pan-European corridors. Internal sources produce a significant portion of energy in Croatia; the rest is imported. Croatia provides a universal health care system and free primary and secondary education, while supporting culture through numerous public institutions and corporate investments in media and publishing. The most important branches of industry include the production of electric machines and devices, chemicals, pharmaceuticals, textiles, and food and drink processing. Zagreb is an international trade and business centre and an essential transport hub, located at the crossroads of Central Europe, the Mediterranean and the Balkans. Almost all of the largest Croatian and Central European companies and conglomerates such as Agrokor, INA, and Hrvatski Telekom have their headquarters in the city. The only Croatian stock exchange is the Zagreb Stock Exchange, located in Eurotower, one of the tallest Croatian skyscrapers. In January 2013 the average monthly net salary in Zagreb was 6,699 kuna, about €900 (the Croatian average is 5,399 kuna, about €725). At the end of 2012, the average unemployment rate in Zagreb was around 9.5%. About 34% of companies in Croatia, including almost all banks and utility and public transport companies, have their headquarters in Zagreb, and 38.4% of the Croatian workforce works in Zagreb..
Companies in Zagreb created 52% of total turnover and 60% of total profit of Croatia in 2006; they also account for 35% of Croatian exports and 57% of the imports. The Balkan Venture Forum is the largest venture capital private equity and investment forum in the region, created to facilitate access to finance, to improve investor readiness, and to catalyse innovation in global business and to foster the development of entrepreneurship capability. 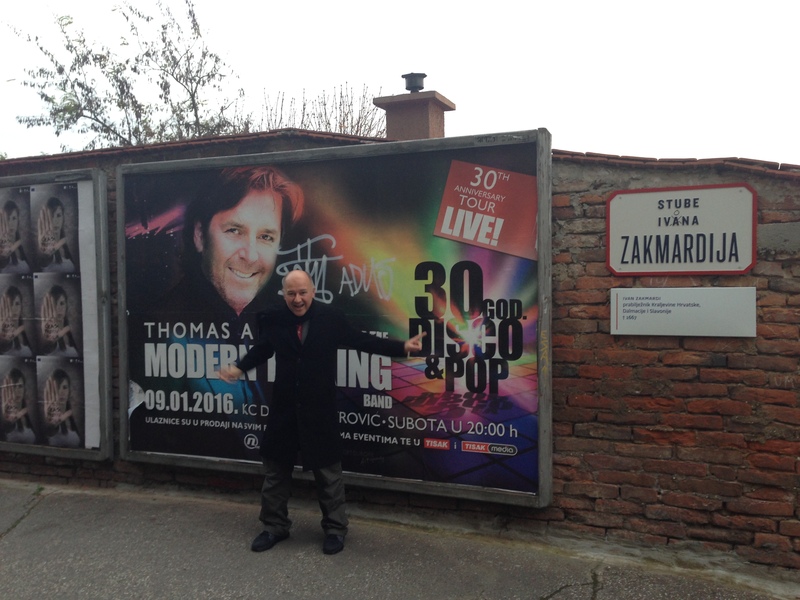 I arrived at the Zagreb Airport at 11 15am and after a quick passport control I exited the airport. I was informed that the bus waiting in front of the airport would go downtown and was about to leave, so I took that bus without questioning whether a taxi might have been better. However, I enjoyed this bus trip very much. The driver was an elderly man. The weather was very nice and sunny. 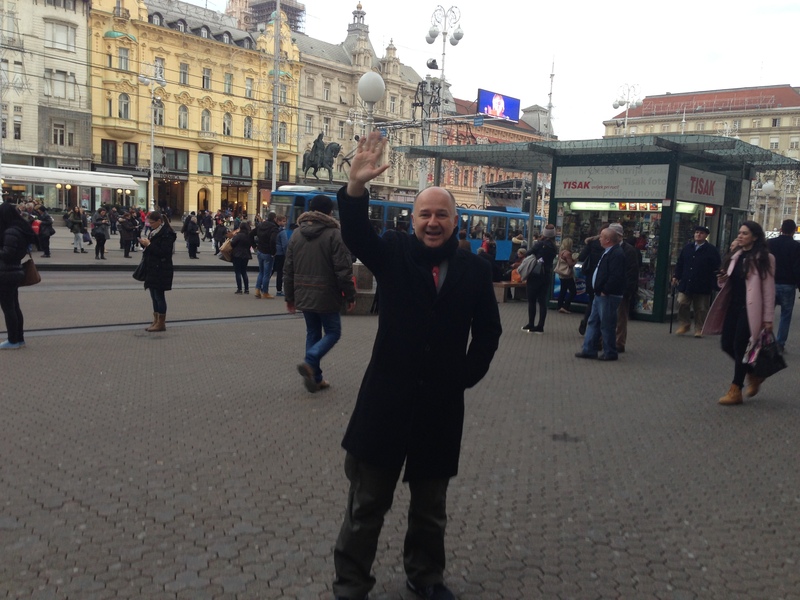 Everybody in the bus was a tourist so I felt as if I was part of a tourist group visiting Zagreb. When the bus arrived at the last station, I was told I needed to take a green taxi to reach my hotel. The hotel where I stayed was a new Hilton DoubleTree, just 2 minutes by taxi from the bus terminal. It is a very new, extremely nice hotel with excellent staff. 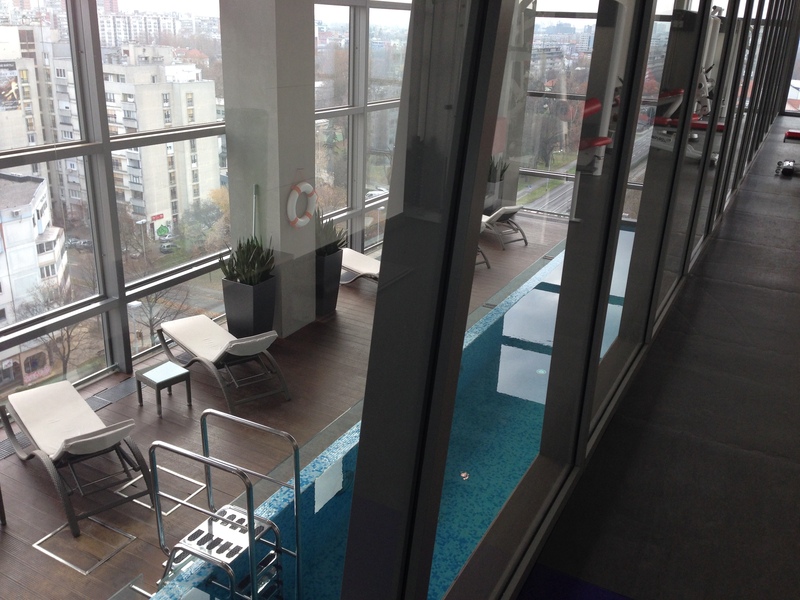 The rooms are perfect — at 5-star hotel standard — and its fitness centre and swimming pool are great. I didn’t like the location very much, however. 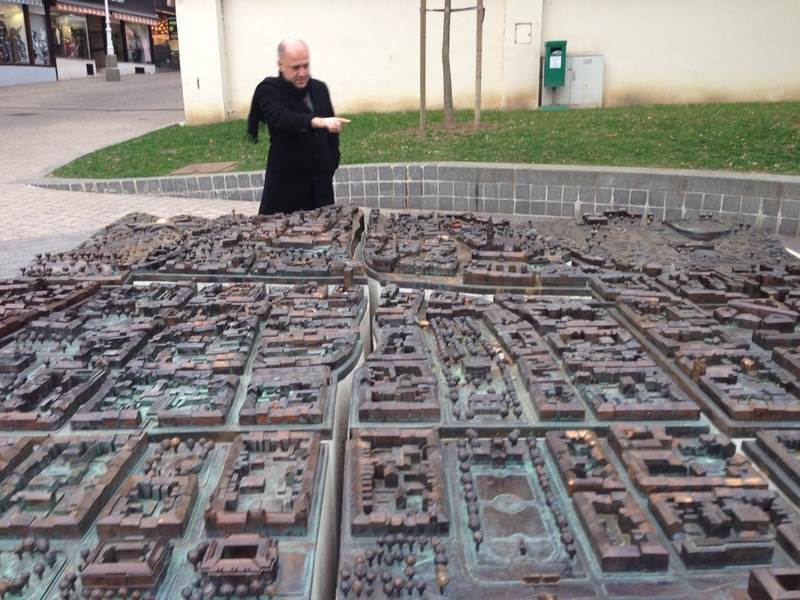 It is not in walking distance to the main square, where the real life of Zagreb is. 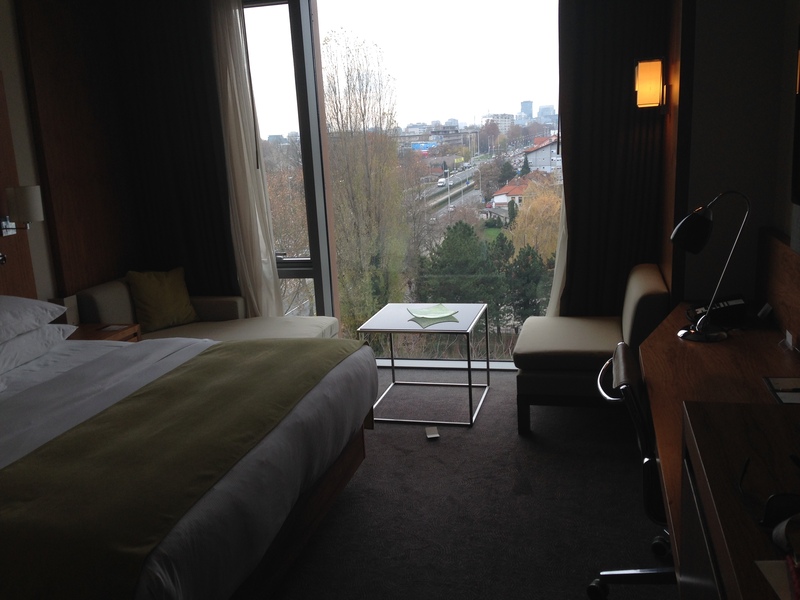 On the other hand, most of the hotels downtown that are in walking distance to the centre are older 3-star hotels. If I go to Zagreb again, I think I’ll stay at the Hilton DoubleTree again and simply take a 10-minute 10-Euro taxi ride to the centre. Still, I found the old hotels interesting. The ones I saw carry a different and historic personality. You might enjoy them. After I completed my check-in procedures, Renata Brkic collected me from the hotel at 2pm and we had an enjoyable sightseeing tour until evening. 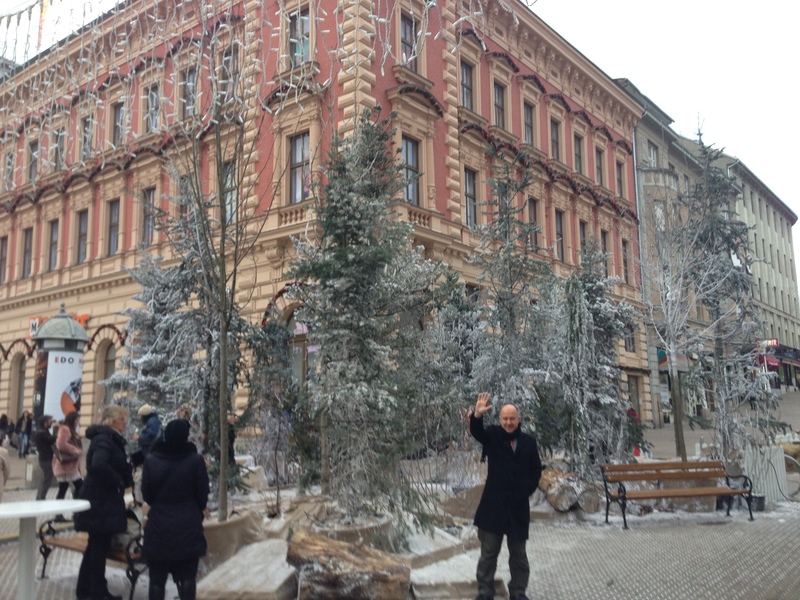 Because hop on/hop off tours are not available in the winter in Zagreb, Renata’s tour was a perfect alternative. 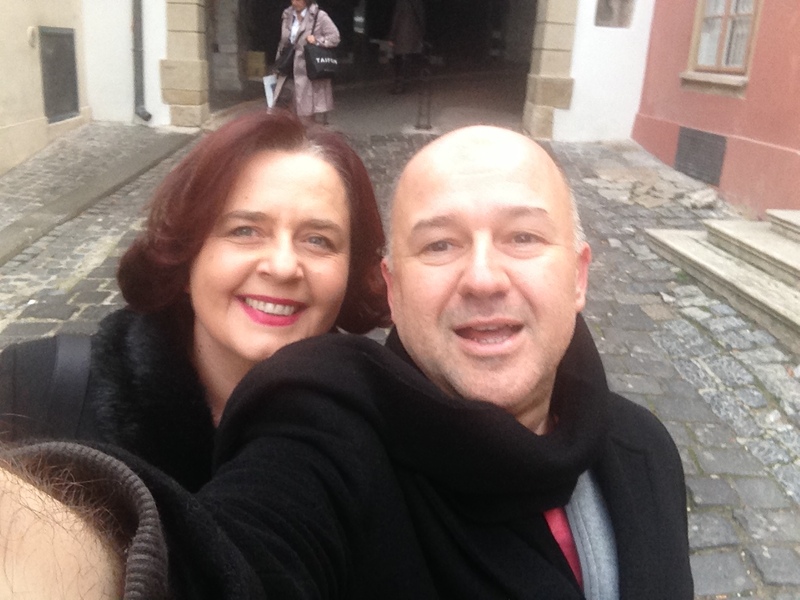 Thanks, Renata, for your hospitality; your city tour increased my appreciation and enjoyment of Zagreb. Renata is the owner of the company that produces Professor Balthazar, a Croatian animated television series for children that was produced between 1967 and 1978 about an old inventor. It was created by animator Zlatko Grgić. The cartoon was shown in subsequent years in several countries apart from the former Yugoslavia, including the United Kingdom, Germany, Denmark, Finland, France, Italy, the Netherlands, Norway, New Zealand, Portugal, Romania, Sweden, Spain, Iran, Greece, Canada and Zimbabwe. I’ve now introduced this series to Turkey’s TV8, where the Maşa and Big Bear are featured. Maybe in the near future, Professor Balthazar will meet Turkish children. Enjoy a short video about Zagreb from a traveller. We started our sightseeing from the main square, Trg bana Jelačića. I strongly advise you sit there for a while to understand the city. It gives you an excellent vantage point from which to observe what life is like in the Croatian capital. Then we spent a few hours walking around the square, where I saw very nice churches, the prime ministry building and the castle. What was interesting for me was how similar the Zagreb Cathedral is to the Famagusta Cathedral in Cyprus (now used as a mosque). 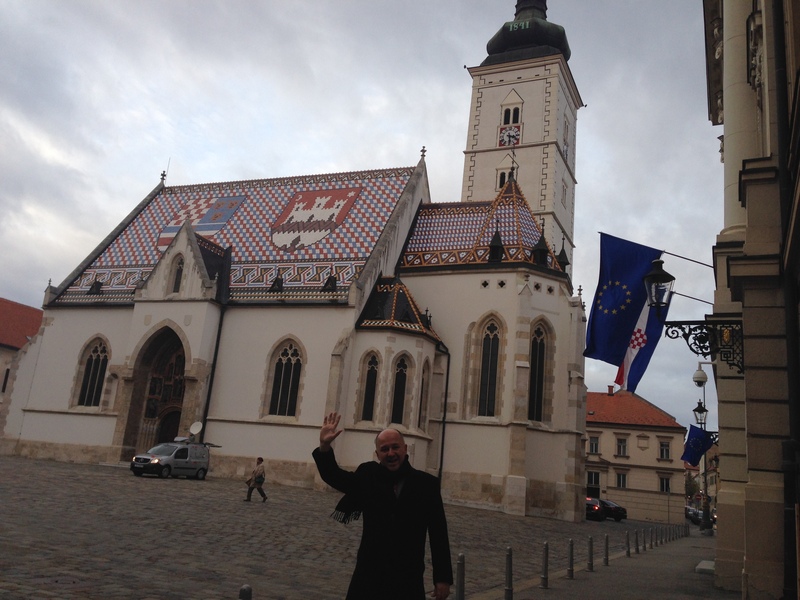 After the Zagreb Cathedral, we visited the castle and enjoyed the city from uptown. In order for you to better understand what I experienced as a traveller in the city, please watch the video above. That is exactly what we did until evening. After our walking tour, we stopped at a restaurant in the centre and for a quick meal before proceeding to the square to enjoy hot wine. It was a lovely atmosphere where it seemed that everybody in the city was enjoying the music performance in the square. Renata dropped me off at the hotel around 8pm and I decided to go to bed early because the next two days’ programme was going to be rather intensive. 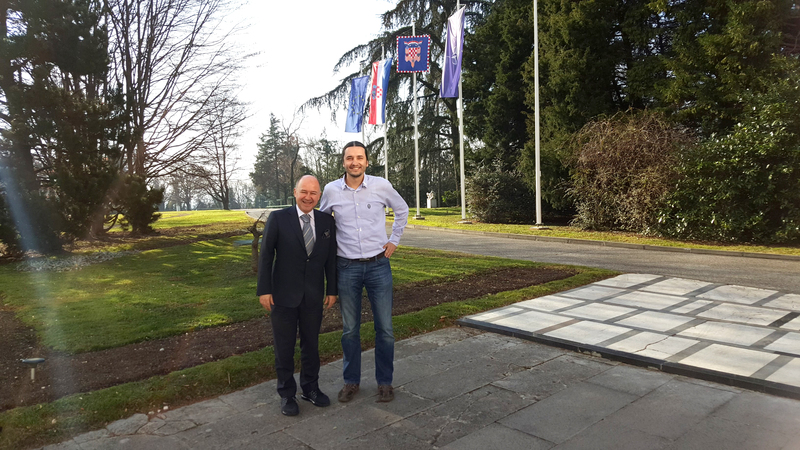 Because CRANE was the official candidate for hosting the EBAN Winter University 2016 in Zagreb, I wanted to turn my Zagreb visit into an opportunity to get an idea about how ready the Croatian entrepreneurship ecosystem is to do it. Davorin had sent me a support letter from the Zagreb Mayor and this letter was confirmed by Nera Pavic, Assistant Head of Office of the City of Zagreb’s city office for economy labour and entrepreneurship, at the Balkan Venture Forum the following day. Davorin Stetner, the President of CRANE — the Croatian Business Angels Association — picked me up from the hotel for our meetings in the city. First, we visited Marko Jurcic, the Economic Affairs Adviser to the President. I also found an opportunity to see the summer palace of Tito, president of the former Yugoslavia; his palace has become the Presidential Palace of Croatia. We then met Maja Pokrovac, the Advisor to the Minister of Entrepreneurship & Crafts, a lovely person who interacts well with different cultures. 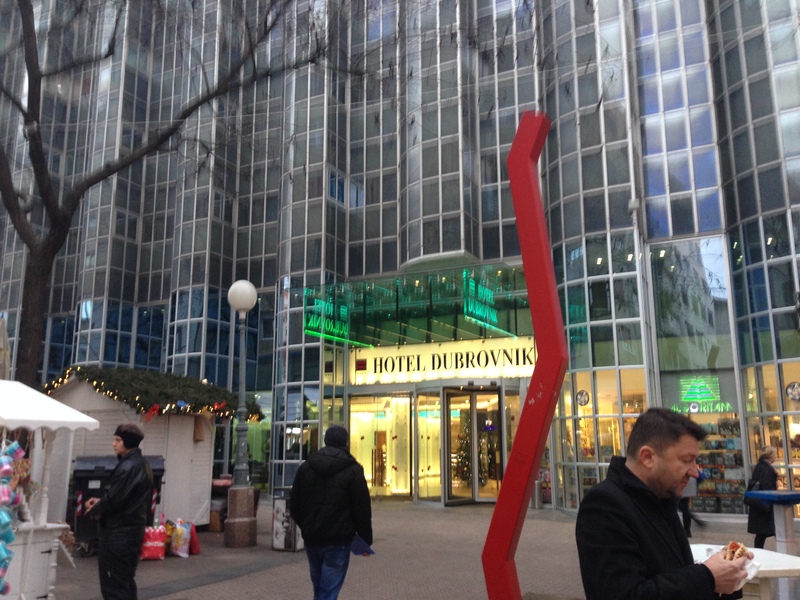 Later we went to the Westin Hotel, which is one of the options for the venue of the 2016 EBAN Winter University, to be held in Zagreb. 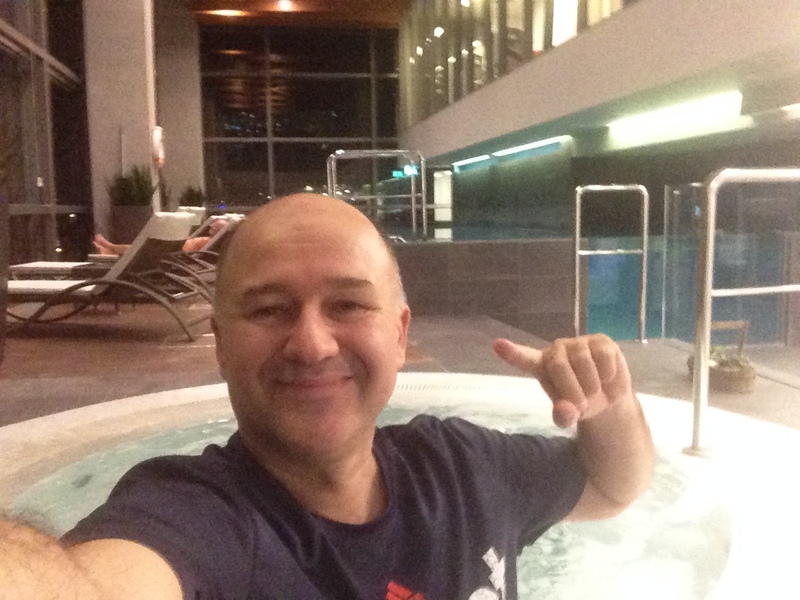 Around 2pm, I was back at the hotel and was in the swimming pool until 8pm in the evening. I also had a 30-minute face massage, which turned out to be an unpleasant experience. 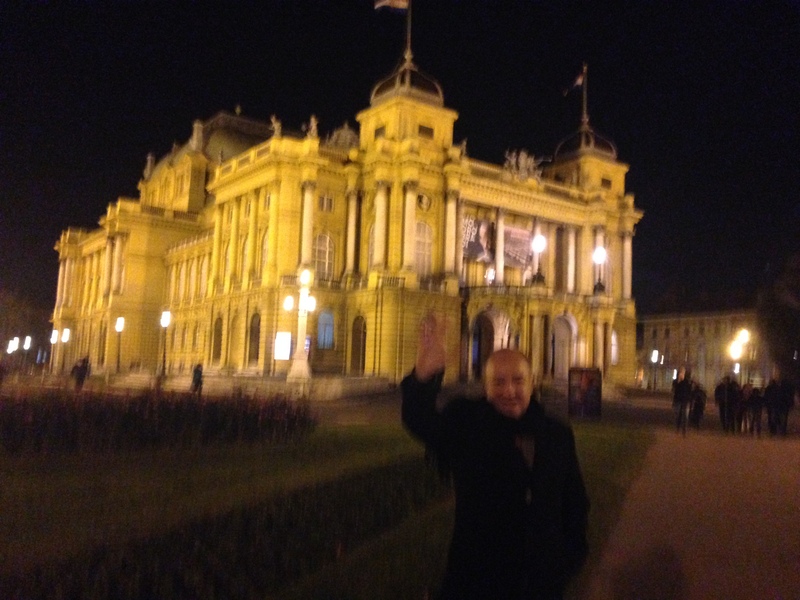 Then I took a taxi in the evening to meet Ivan Jovetic , the President of the Montenegro Business Angels Association. I really liked the lobby of the hotel where he was staying. There was a nice piano in the dimly-lit lobby, creating an atmosphere where one might expect Agatha Christie to appear at any momentJ. We went to a nearby bar for a chat and after a few hours, we returned to our hotels around 11.30pm. Davorin Stetner collected me from the hotel 8.30am and we went to the Croatia Chamber of Commerce to meet with Zelimir Kramaric, the Vice President of the Croatian Chamber of Economy responsible for international affairs and EU . 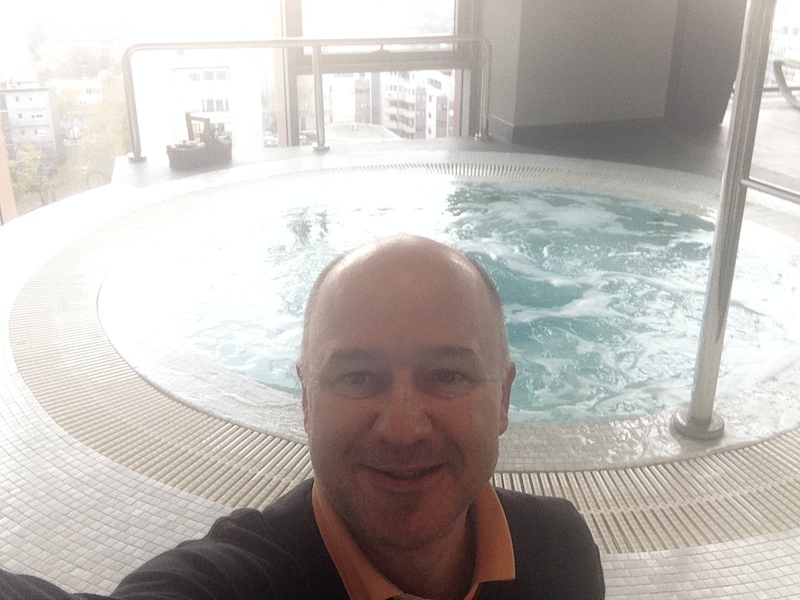 After our meeting, we went to the Hypo Centre, where the Balkan Venture Forum was taking place. I was also interviewed by an economy magazine and a TV station. If I can find the links, I will put these interviews here shortly. 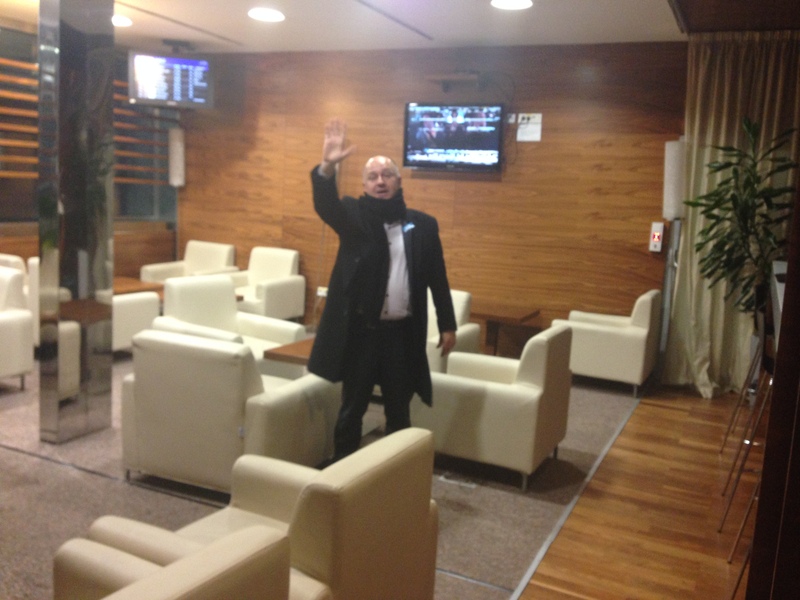 Then at 6.30pm I took a taxi at 6m to the airport, where I enjoyed the CIP lounge service until the Turkish Airlines flight to Istanbul was ready to board. The Croation startup ecosystem is young and thriving, with new players constantly disrupting the community. 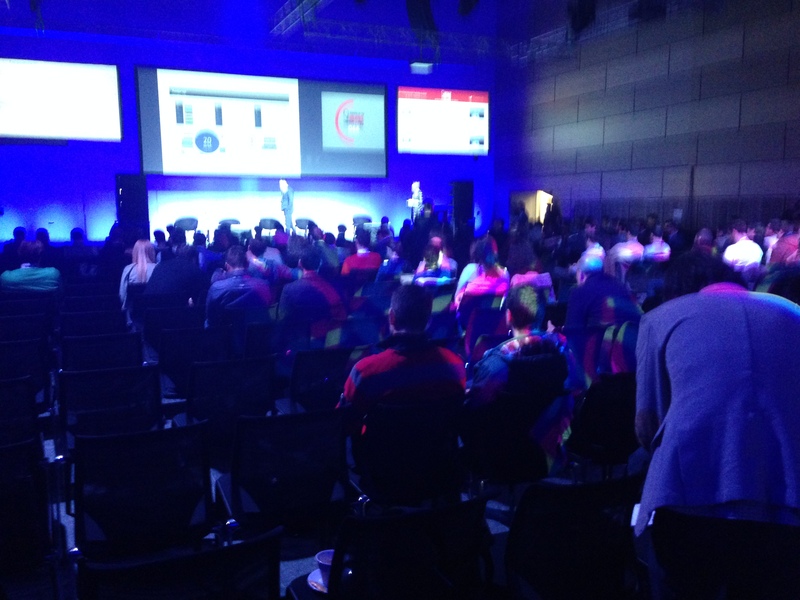 Zagreb is slowly gaining the attention of many startup people from all over the world. Its favourable geographical position and relatively lower prices (compared to European business centres such as Berlin and London) makes it very attractive to investors. 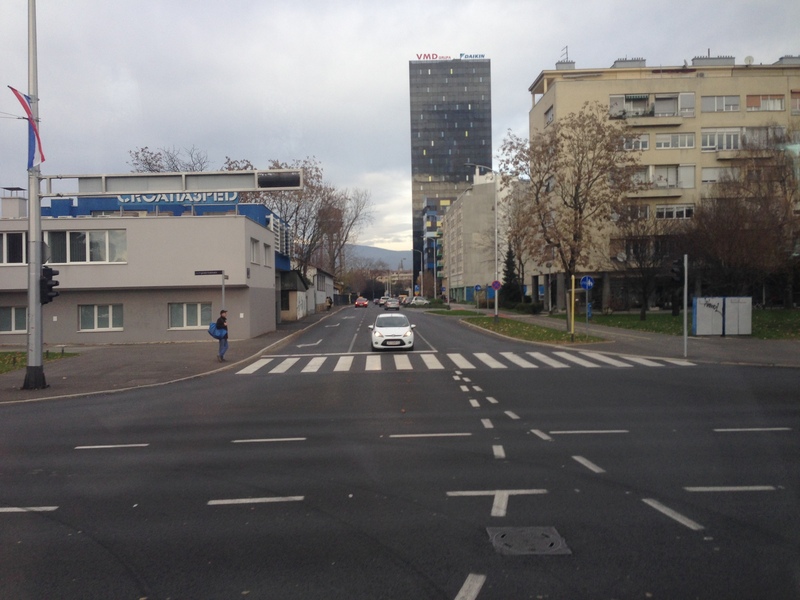 Zagreb is the most important hub in Croatia, thanks to good transportation – linking roads, rail and air traffic. The city is known for its diverse economy, high standard of living, museums, and sport and entertainment offers. The main sectors of the economy are high-tech industries and the service sector.